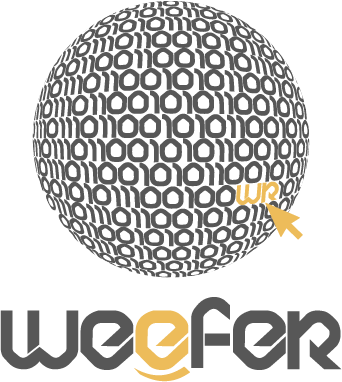 Weefer a pioneer in IT solution aims to provide enhanced and effective products/services to its consumers. The company has built a reputation for itself by providing superlative services and maintaining a relationship with the people involved in the business. Our vision is to work around your business to make technology integrate with your business. Our focus is to transform your business into digital by providing software development and consultancy services that are appropriate to your business needs. Our mission is to deliver optimal IT solutions that make IT an asset for you and your business and enhance your business growth. Our core team consists of highly qualified professionals with excellent academic accreditation who are fully experienced in various aspects of the Academic and the Financial Services Industry, Retail and Distribution and having worked with various clients in their earlier days as consultants. What sets our management team apart at Weefer is that we infuse the much-required enthusiasm to deliver quality products/services as per customer satisfaction. With our team pragmatic business senses, they all have taken the responsibility to employ strategic technology for business expansion in emerging markets. With our team support, the company has witnessed phenomenal success. We demonstrate respect for our clients and each other by really listening to them, fulfilling their best intentions, and proactive communication to enhance their business success. Innovation and improvisation are the most critical factors for an organization. Innovation is what differentiates Weefer from its competitors. Innovation has helped us look at the long-term perspective of the industry. It is very common that companies fail to keep their promises after tasting success. We ensure to stick to the most basic value of the company & remain committed to nourishing the business. Products/services supplied by Weefer have been consistent in their results delivered. Due to this brilliant performance, we have earned a reputation of the most reliable IT solution Company in Indonesia and beyond.